The kit includes 32 count evenweave fabric, a colour block chart, detailed instructions, Anchor stranded cotton, and a suitable needle. A fully finished wooden frame, to mount the stitched sampler in, is also included in the kit. 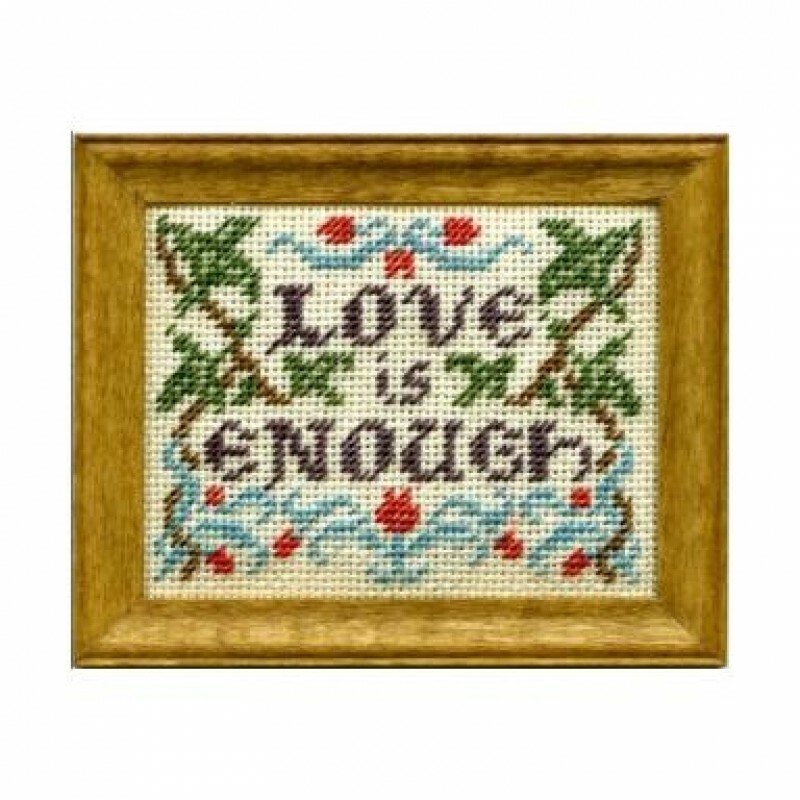 This well-known phrase made famous by William Morris at the end of the Nineteenth century is surrounded by swirling vine leaves and stylised tulips.